Iranian Police Chief Brigadier General Esmail Ahmadi-Moghaddam said the crime rate is growing internationally but in Iran it is declining on monthly basis. He also said a certain type of crimes which are affiliated with the economic conditions is increasing in the country. “We must be vigilant about these movements and make people aware of them too. Police and other armed forces should detect the weak points of the community and instruct people accordingly. The felonies have been changed today and we see modern crimes being committed nowadays.” Ahmadi-Moghaddam added. “Police intervenes in about 30% of complaints submitted in its station which is one of the most positive sides of the Iranian police. This has expedited the procedure of reaching a resolution between two sides.” Ahmadi-Moghaddam said about the efficiency of local police. 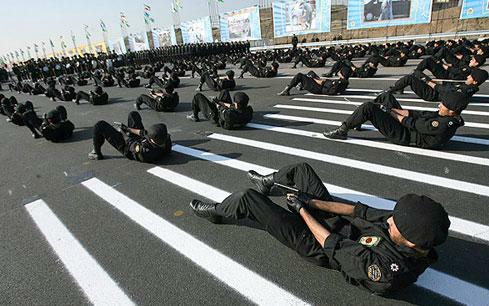 Iran police has more than 60,000 police personnel served under the Ministry of Interior and Justice, including border patrol personnel.